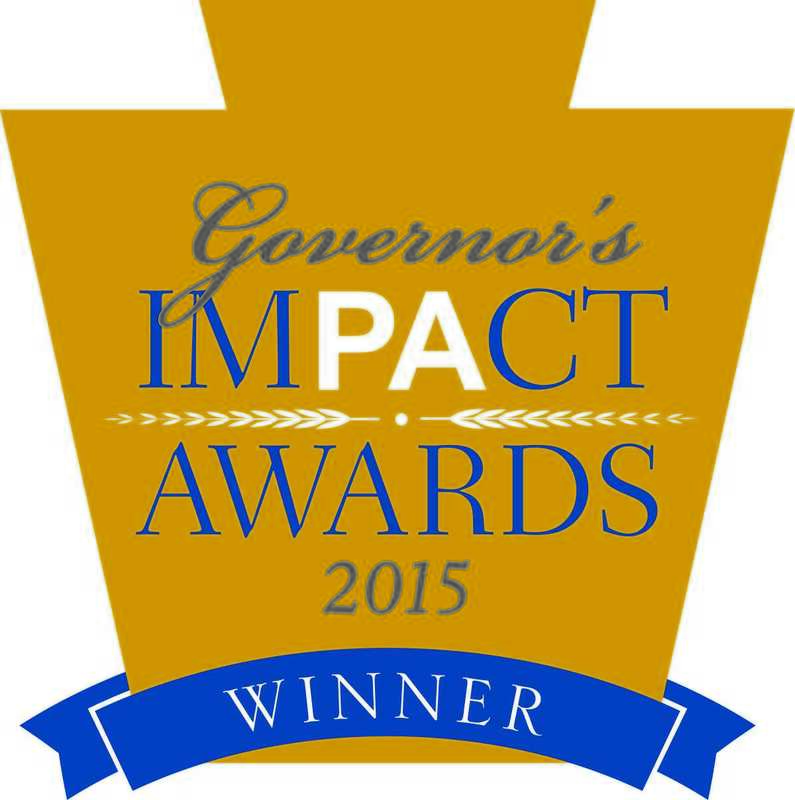 Pittsburgh, PA – June 2, 2015 - Wombat Security Technologies (Wombat), a leading provider of cyber security awareness and training solutions, today announced its May 21st recognition for the 2015 Governor’s ImPAct Award. 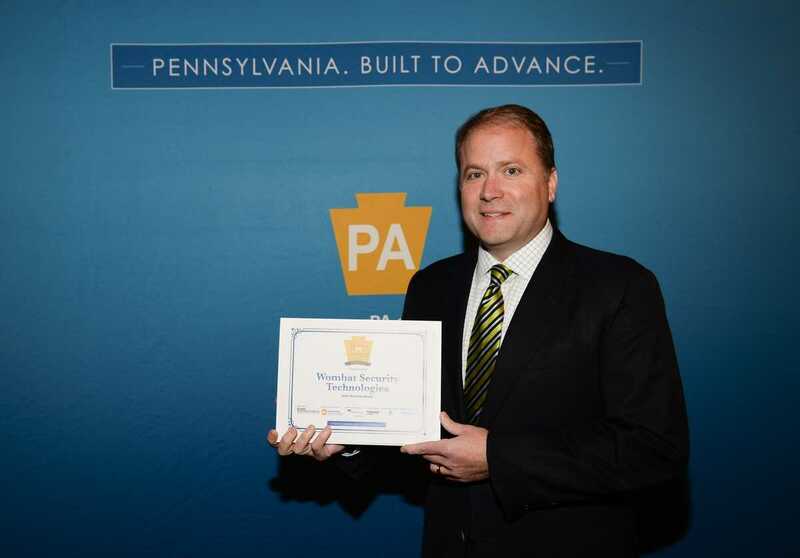 Team Pennsylvania recognized Wombat for jobs created and positive contributions made to the state’s economy, as part of the 2015 Governor’s ImPAct Awards. Joe Ferrara, President and CEO, accepted the award at a ceremony at the Hershey Lodge in Hershey, PA.
Wombat Security Technologies was named a winner of the ImPAct Awards because of continued dedication to create jobs, boost the economy, and develop its workforce while enhancing methodologies used to educate end users, making Pennsylvania and global marketplace more secure places to do business. Wombat was nominated for the award by the Partnerships for Regional Economic Performance (PREP) network. Each of the 10 PREP regions submitted up to five nominations per category. The PREP network works to regionalize and coordinate local economic development services to businesses and entrepreneurs. The Department of Community and Economic Development provides grants through PREP to local economic development service providers that provide assistance and other resources to support local business expansion and growth. The awards were sponsored by the state’s private sector partner, Team Pennsylvania Foundation, and were coordinated by DCED, Team Pennsylvania Foundation (Team PA), and Journal Multimedia. Representatives from Team PA and Journal Multimedia evaluated the nominations and selected the award recipients. Recent awards and recognition for Wombat include winning two Info Security Products Guide Awards, winning the Cyber Defense Innovator Award, being named one of the 20 Most Promising Enterprise Security Companies in 2015, and being designated one of the Hot 500 Cybersecurity Companies to Watch in 2015. In addition, Wombat is in the running as a finalist for multiple awards including SC Magazine Europe and the Advisen Cyber Risk Awards. For more information and the full list of finalists and winners, visit teampa.com/gia. Wombat Security Technologies provides information security awareness and training software to help organizations teach their employees secure behavior. Their SaaS cyber security education solution includes a platform of integrated broad assessments, as well as a library of simulated attacks and brief interactive training modules. Wombat's solutions help organizations reduce successful phishing attacks and malware infections up to 90%. Wombat is helping government agencies, the largest companies in the world, and small to medium-sized enterprises in industry segments such as finance, banking, higher education, retail, technology, energy, insurance, and consumer-packaged goods strengthen their cyber security defenses. For more information visit www.wombatsecurity.com or contact Lorraine Kauffman-Hall at 704-882-0443 or lhall@attainmarketing.com.